EDIT (10/1/2014): I have received a newer version of the Grade A hair, and while Anthony at TGN says that they try their best to keep the hairs consistent, this one is noticeably different than previous grades. Its still a very good hair, but its not as soft, and the tips don’t hook. This hair is different than the one reviewed. Most guys on the forums are always talking about how the 2-band TGN Finest is the best knot from TGN, and little is often shared about the other knots, including the Silvertip Grade A. While the TGN Finest is a great knot, I often think that the 2-Band entourage and its proponents are just more outspoken than those that prefer 3-Band Silvertips like the Grade A knot, which gives the impression that it is a flat out more superior knot. I’ll admit, I have more TGN Finests than any other TGN knot in my collection, but the TGN Silvertip Grade A is an exceptional knot, that more than holds its own against the Finest. The TGN Silvertip Grade A is a dense silvertip badger knot, that features relatively fine hairs. Of all the The Golden Nib’s knots I’ve tried, the Grade A has the most fragile hairs and some care should be taken when using it. I wouldn’t be quite as aggressive with this knot as I would be with a TGN Finest, so generally that means avoiding triple-milled soaps and sticking with creams or croaps. This is a great cream brush, and actually does well with soaps but I found that I was losing about one hair each time I used it with soaps, and they weren’t falling out of the knot, they were actually breaking from loading the brush. The hair has a general springyness to it, and has good bounce. 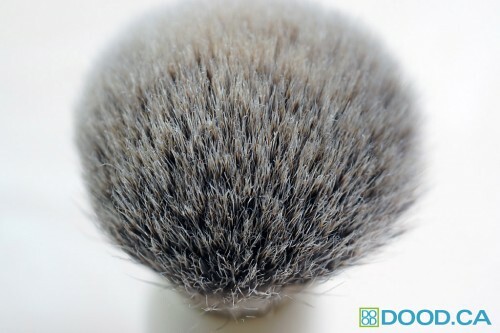 It actually has very good backbone compared to most 3-Band Silvertip brushes, more than what I’ve seen from Shavemac Silvertips and Rooney Silvertips. While its got some decent backbone, its not a Shavemac D01, but its not far off. The knot actually kind of reminds me of the D01 knot, but with less density and less thickness. Its not quite as scrubby. As you can see from the close-up, the hairs are almost all hooked, and I do get the gel-tip sensation from the TGN Silvertip Grade A. Its softer than the TGN Finest XH at the tips, and its probably around the same density, though the hairs are much thinner. It feels pillowy soft on the face, and the hooked tips really feel great on the face. 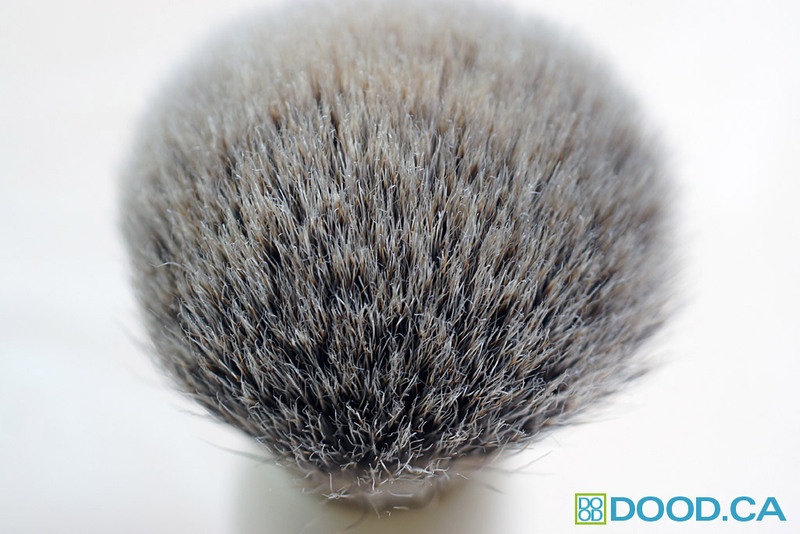 If this knot was available in the density of a Simpsons Chubby, this would be an amazing brush. I think it would be the ultimate face lathering cream brush. 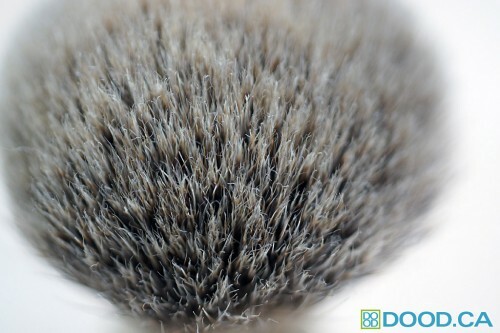 As it is, however, it is still a fantastic brush, but I would keep it away from hard soaps. It seems to work well set at short or higher lofts, though if you’re a short lofting face latherer, you’re probably going to prefer the TGN Finest knot or even the TGN Super Silvertip more. This, is probably one of the TGN’s softest knots. If you want pillow soft, get a Grade A and set it at a higher loft. There are some new knots that just arrived at TGN including the pricey High Mountain White that I have not tried yet… so these may be softer. However, the Grade A has a great combination of softness combined with backbone. This entry was posted on Tuesday, May 28th, 2013 at 4:15 pm	and is filed under Shaving Brush Knots. You can follow any responses to this entry through the RSS 2.0 feed. You can leave a response, or trackback from your own site.